NextSharon M. Wolf’s ‘The Best Streets in the World’. Aria L Clark’s ‘The Best Streets in the World’. Every now and then I will invite a special guest to write about their five favourite streets (or places) in their own city and or somewhere around the world that they have managed to travel to. Today, I am honoured to have Aria L Clark as my special guest. She has chosen to list five wonderful villages/places in North Wales. The places she is about to talk about are all close to her heart, and I can completely sympathize with her choice to stay within reach of home. Interestingly, North Wales was recently named one of the world’s best regions by Lonely Planet! Anyway, without further ado I will let Aria take you on her tour of her favourite places in North Wales. Conwy, I can easily say, is my favourite town in Wales. It’s a small town within the walls of one of Edward I’s many Welsh fortresses, Conwy Castle. Constructed between 1283 and 1289. I love everything about it, the people, the atmosphere, the scenery. In my opinion, it is the perfect medieval town. Conwy has the ability to make you feel like you have been transported into a different time. Other than the castle of course, Conwy is home to some beautiful historical places and tourist attractions. Including a stunning Elizabethan townhouse, a cute little 14th century merchants home, Oh, and the smallest house in Britain, which personally I have never visited…but I suppose it’s worth mentioning. I could go on, but I’d be here all day. So I’ll wrap this one up here. Conwy inspired me so much as I was growing up, especially when it came to art. I’d sit against a castle wall and draw for hours. So, I think it will always hold a special place in my heart. If you get a chance to visit, I highly recommend you do, and hopefully you’ll love it as much as I do. Betws Y Coed, Snowdonia, North Wales. If you grew up in North Wales, there’s no doubt you’ve heard Gelart’s story a hundred times. Personally, it’s my favourite. So I can’t help but love the place. Again, there’s not much to say for this one. Llandudno is a lovely seaside town, right next to Conwy. And understandably, a popular location for tourists. The town has kept much of its Victorian look, and every year it holds a ‘Victorian Extravaganza’ that, to be perfectly honest, I didn’t appreciate being dragged to as a child. But now that I’m older, I love it. Especially when I see everyone in full Victorian dress. Llandudno is a happy little place, full interesting people. Just don’t eat outside, unless you’re prepared to battle with the seagulls. Another historical town, with another one of Edward I’s castles. Except this time, the castle was never finished. Money and supplies ran out before the fortifications reached their full height. Despite this, the castle itself is definitely worth a visit. As is the rest of the town. There are plenty of places to explore here, and some lovely little shops and restaurants. My favourite time to visit Beaumaris, however, is November 5th. Every bonfire night they put on a great firework display and bonfire, which I’ve been going to since I was a child. So Beaumaris has some sentimental value to me, and it was only right that I include it in this list. The amazing talented Ms. 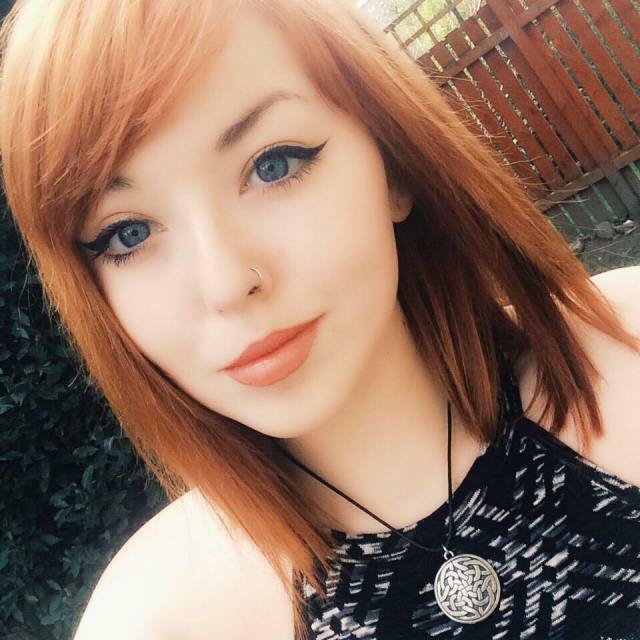 Aria L Clark is currently studying English, History and Sociology in Wales. She is a Tudor enthusiast and loves reading both fiction and non-fiction books. She has a great sense of humour about most things, but don’t stand next to her in a stairwell, you might find her grabbing onto you ‘for dear life’ as she tumbles down. Photo Credits: All images used in this article are licensed under the Creative Commons Attribution-NonCommercial-No-Devis 2.0 license. The Conwy Castle image is by flickr user Ashley Perkins. The Betws-y-Coed image is by flickr user C. The Beddgelert image is by flickr user C. The Liandudno Pier is by flickr user Andrew Price. The ‘A West-End Sunset’ Beaumaris image is by flickr user Kris Williams. Sharon M. Wolf’s ‘The Best Streets in the World’. My Halloween Special: Skyhooks’ Horror Movie (song).